Knowing how shoppers shop can be a great opportunity for retailers to provide helps for making grocery shopping easy and enjoyable. One of the ways grocers can aid shoppers is to streamline visits with the use of grocery list apps. The top apps available for both iOS and android range from free to paid subscriptions. Functionality can be as simplistic as manually creating a list similar to handwritten ones or supercharged as auto-creating lists based on real-time tracking of household inventory. Many grocery list apps also offer in-app ads, through which retailers might consider running promotions. 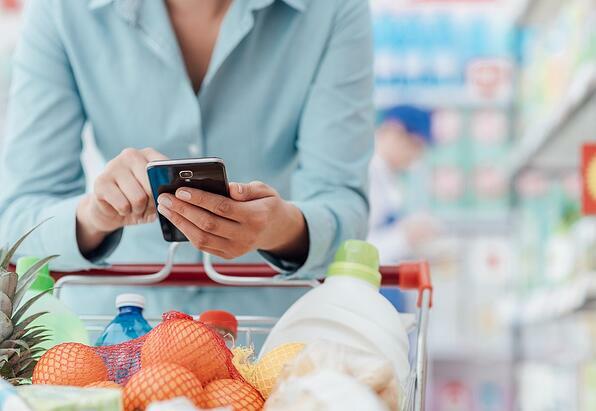 We have compiled a list of grocery list apps to help improve shoppers’ experiences in grocery stores. Here are the seven apps on top of their grocery list game. Creating shopping lists with List Ease is exactly as its name suggests. This app can add items on a shopper’s desktop or phone—manually or by scanning barcodes using the phone’s camera. Lists can be shared among family members, organized by favorites, and set up to stick to a budget. List Ease is available on the App Store for iPhone or for Android at Google play. Started by a software engineer who also loves to cook, BigOven creates grocery lists from favorite recipes that can be easily shared with friends and family. Touted as the first recipe app for iOS, Android, and Windows Phone, its popularity is evident by its 13+ million downloads and 3.3. Million registered members. BigOven enables customers to access seasonal recipes and leftover ideas, organize favorite recipes, build a sortable, sharable grocery list, and plan meals in advance. This mobile app for iOS and Android enables shoppers to search stores, items, and brands via weekly circulars based on zip code. Then, shoppers can tag an item to “clip” and add to their shopping list. Using Flipp’s new shopping list feature, shoppers can load their handwritten, paper shopping list into their phone and allow Flipp to find the items on the list when inside a store. Popular features of this iOS and Android app include sharing, syncing, and creating lists for shopping, as well as for packing and other tasks. Out of Milk’s feature of tracking pantry inventory reminds shoppers what they ran out of, that otherwise they might have forgotten to include on their list without the Out of Milk app. Another app that looks to weekly sales at local grocery stores is Grocery Pal. This app can price match a customer’s shopping list items with major retailers and online products. Lists can be organized into categories and aisles, and can be synced across devices. Supermarket Guru reports Grocery Pal as easy to use and excellent for saving money and comparing sales. Available for iOS and Android. This shopping app is designed to save time and money, at home and the grocery store. When at home, enter the items as you arrange them at home and check shelves while setting quantities, leaving unnecessary items at zero. At the store, the app learns the order of items as they’re checked off the grocery list, and then the app arranges the order automatically at the next grocery trip. Grocery Gadgets also features list syncing with family, coupon clipping through eCoupons, free cloud backup, price comparison, and recipe ingredients import. Available on iPhone, Android, Blackberry, Nokia, and Windows Phone.